#Aww: The Story Of Two Best Friends Who Fell In Love! We've all had that one guy friend we secretly used to crush on but were too afraid to do anything about it. Because if he doesn't return your feelings, it could be awkward. If you guys break up, you could lose your friendship forever! But Shivani and Amit seem to have overcome all those challenges and managed to do what most of us dream about at least once in a while - marrying our best friends! 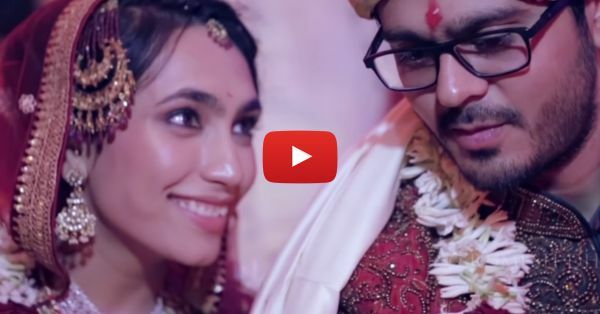 Watch their beautiful wedding video in which they talk about this amazing feeling - of having known each other inside out before deciding to spend the rest of their lives together! After all, pyaar dosti hai, right ladies?! PLUS: Subscribe to POPxo on YouTube for original videos + our favourite videos from around the web! .be MUST-READ: #Aww: From School To Shaadi… Their Story Will Melt Your Heart! MUST-READ: #Aww: Is This The Most Beautiful Wedding Invite Ever? !